Greenland’s Ice Sheet. Credit: Wikimedia Commons. 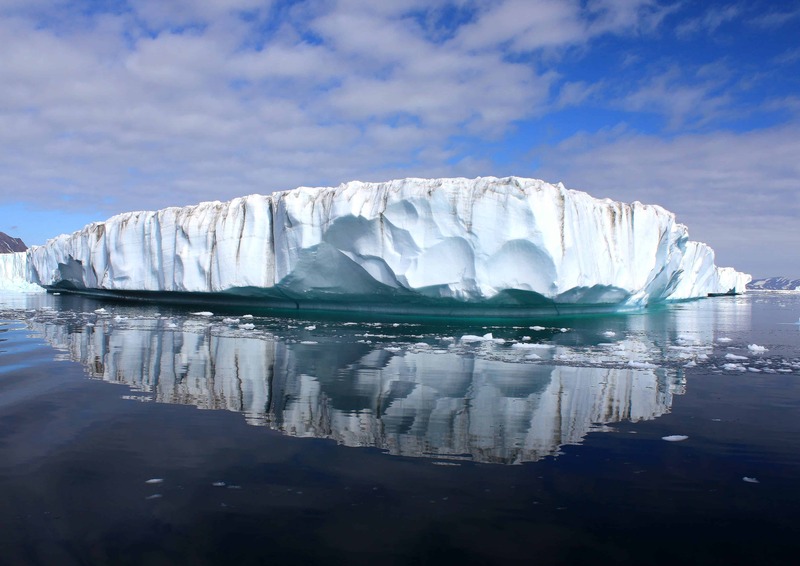 Greenland’s ice sheet is melting at an accelerated rate, faster than previously estimated. This also implies an acceleration in sea level rise since Greenland is responsible for much of the effect that threatens coastal cities and islands throughout the world. According to the authors at Ohio State University, Greenland is losing four times as much ice as it did in 2003. This was the year NASA and partners in Germany launched the Gravity Recovery and Climate Experiment (GRACE), involving twin satellites that measure ice loss across Greenland. Since then, Greenland has lost approximately 280 gigatons of ice per year, on average, leading to a yearly sea level rise of 0.76 millimeters (0.03 inches). Scientists used to think that most of this ice loss came from Greenland’s southeast and northwest regions, where large glaciers break into icebergs that float — and eventually melt — in the Atlantic Ocean. However, the new study has identified the island’s southwest region as another source of significant melting. Greenland’s southwest lacks glaciers and for this reason, it has always been assumed that the region contributes minimally to ice loss. According to Michael Bevis, a professor of geodynamics at Ohio State University and lead author of the new study, the ice loss is due to surface ice mass melting from the coastline. Bevis and colleagues used data from GRACE but also GPS stations positioned around Greenland’s coast in order to identify the pattern of ice loss. To everyone’s surprise, the southwestern part of the island was found to be a serious contributor to sea level rise, channeling rivers of meltwater into the ocean during the summer. This melting is largely due to global warming which is amplifying a natural weather phenomenon, known as the North Atlantic Oscillation (NAO) — a large-scale alternation of atmospheric mass between subtropical high surface pressure, centered on the Azores, and subpolar low surface pressures, centered on Iceland. NAO has a great influence on sea surface temperature and can cause massive net ice loss when combined with the global atmospheric warming. 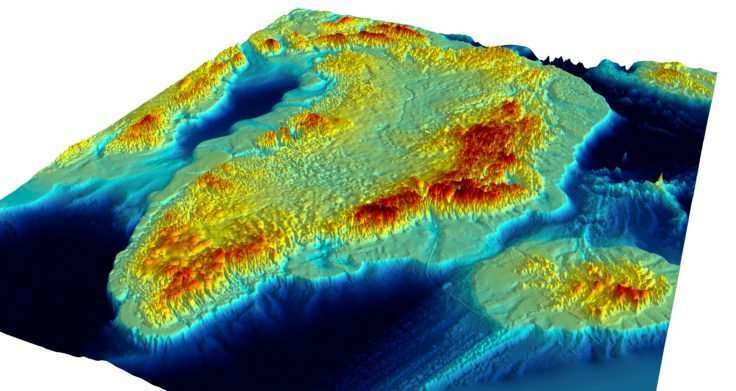 What Greenland would like if its ice sheet vanished. Map made by the British Antarctic Survey (BAS). If it completely vanished, Greenland’s ice sheet — which is 1.5-kilometer thick and covers 1,710,000 square kilometers — would raise sea levels by up to seven meters (23 feet). In a previous study, glaciologists at the Woods Hole Oceanographic Institution (WHOI) concluded that melting in Greenland’s ice sheet “has gone into overdrive”, showing that it is unprecedented in the last 400 years. The authors concluded that runoff in Greenland started to steadily rise when the first signs of climate change hit the Arctic, in the mid-19th century. However, it accelerated dramatically in the past 20 years, at a rate sixfold higher than before the Industrial Revolution. The new findings show that along with glaciers, climate scientists now need to pay close attention to Greenland’s snowpacks and ice fields too. The GPS network that monitor’s the island’s coastline is rather sparse n the southwest, and this needs to change in order to gather more reliable data.